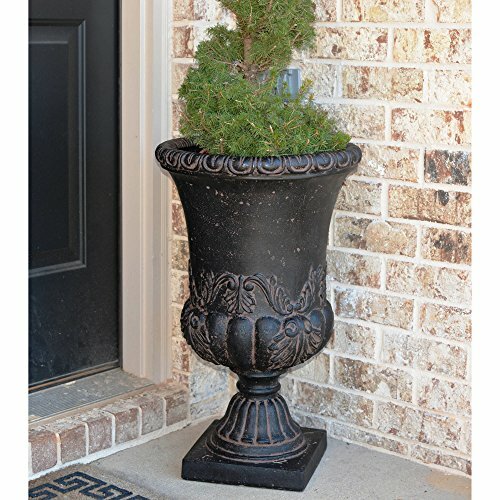 This Classic European Style Design Black Cast Stone Urn Planter will bring a European style to any entrance. Whether it is for your patio, porch or pool area, you will have a classy container that is as functional as it is beautiful. Your plants will flourish in the 18-inch deep and 13-inch diameter vessel that gives plenty of room for strong root growth. You can use it indoors as well as outdoors because it is water-tight. The planter is lightweight and weather-resistant.